I think we could have held the National Table Tennis Championships on the course on Sunday as the frost had certainly dug its teeth in. Conditions for all were a test of patience with a few lucky breaks/bounces, but a large amount of not so lucky bounces. I can certainly say there was one happy member when his putt dropped for a two on the 17th hole as he was the only player to make a two out of a field of 61. Congratulations David Taylor for winning the whole ball sweep! Winning the war of patience out there was Anthony Seyour for Division One with a nett 70, Steve Brown with a fantastic nett 66 and Tom Williams winning Division Three with a nett 74. Sadly, due to the fog on Tuesday, the ladies competition was postponed as the course was closed until 11:00am. Last week there was a typo with regards to the winner of the Stableford. With a fantastic 37 points in tricky conditions, Sue Pickard was the winner. Congratulations! An addition to the list below of upcoming events is our Santa's Grotto and Christmas Carols evening on Thursday, 22 December. This is always a very popular evening and gives you a chance to bring up the children and grandchildren for a chance to meet Santa Claus, have a bite to eat and then enjoy the blissful sounds of our Committee's Choir as they perform all the Festive classics. Please add your name and the number of children to the sign-up poster in the entrance hall. Click here to see other events coming up here at Epsom Golf Club in the run up to Christmas. There are only a few days until this great fun Texas Scramble team event with a big presentation on Sunday afternoon to a packed clubhouse. We only have four tee times on Saturday and two times on Sunday remaining, so hurry up and get you names down in the last few spots. If you are a "Singleton" we are still looking for someone to join a team on the Saturday and the Sunday. We have another big festive day a week on Sunday as I've put on 'The Pro Shop Christmas Pairs' on Sunday, 18 December. We will be having a buffet and bubbles at breakfast from 7:15am followed by pairs betterball, but with the added both scores to count on all par threes. The event is open to all seven day lady and gents and as it is Christmas, if you would like to bring up a guest to play as your partner, you are more than welcome! There will be prizes all around the course as well as a special prize for the best Christmas jumper. Cost - £25 per pair including breakfast. Head to the men's competition board to sign-up. Hurry as tables and spaces are filling fast. The Classic Programme - Six 30 minute lessons covering all aspects of the game and will also include video analysis and time on the GC2 golf simulator. Cost £150. The Ultimate Programme - Ten 30 minute lessons covering all areas of the game as 'The Classic Programme' but will also envolve on-course playing sessions. Click here to see our promotional poster for more details or click here to get in touch for more details. Simply book in with your driver and if I can't get another 10 yards on your drive by either the latest technology or a little pointer here and there, then I'll give you a FREE sleeve of golf balls. So many golfers are playing with a driver that quite often doesn't suit their swing and speed, either too stiff in the shaft, not enough loft or simply a club from the last century. So come on, what have you got to lose? I'll see you in the Swing Studio. We have over 40 pairs of men's and women's shoes with big discounts, so come and bag yourself a bargain while stocks last. Under Armour is flying off the shelves! After the massive success of my first delivery of the Under Armour autumn/winter collection, the top up order has finally arrived. This collection is great for the weather we're experiencing and would also make for some fine Christmas presents, but hurry as it flew off the shelves last month. Sun Mountain Micro Cart trolley - £149 or trolley and Sun Mountain Sync bag deal (package worth £329) – Xmas price £299 and receive an umbrella and towel FREE. 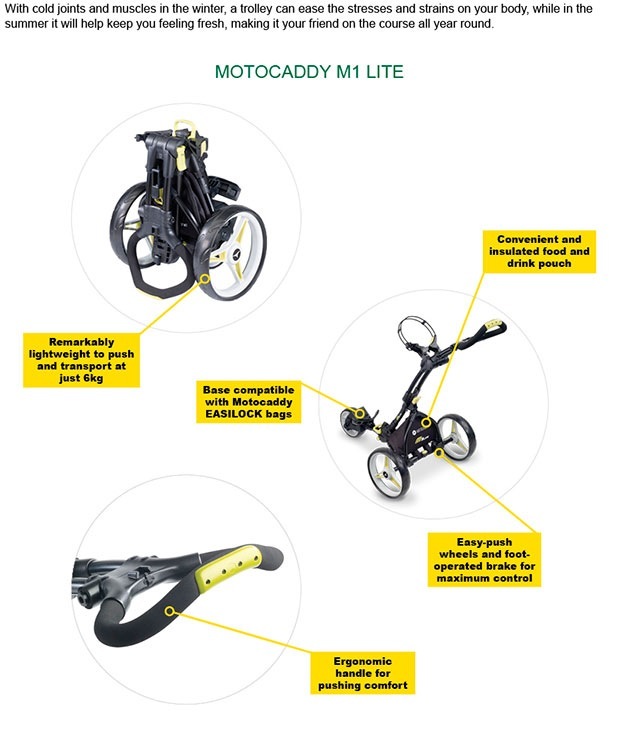 Motocaddy S1 18 hole lithium battery electric trolley - £399 and receive a Motocaddy carry bag FREE. 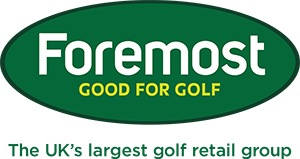 Epsom Golf Club logo’d jumper and shirt deal – from £99. Callaway or PING driver fitting voucher – Including FREE fitting session with a PGA Professional on the GC2 golf simulator to compare and make the best choice. Extensive range of Under Armour and Puma winter wear – from £35. Under Armour winter pack – Bobble hat, winter mitts and compression skin top - £75. Sunderland and Under Armour waterproof suits from £179. 15% OFF FootJoy MyJoy personalised golf shoes - Click here and design your shoes, print off and bring into the pro shop. Orders must be placed by Friday, 25 November. If you head into the pro shop we have just put up this year's Christmas Draw offering you a chance to win a fantastic custom fit experience at the Callaway Performance Centre, to fit you for the latest set of irons. Tickets are £2 each or 10 for £10 and the draw will be made for the lucky winner at the Presentation of The Turkey Trot on Sunday, 11 December… Good luck. Still struggling to tick those names off your Christmas shopping list? You have until midnight on Sunday to take advantage of our FREE Titleist Ball Personalisation offer. We won’t charge you a penny for delivery or collection, but hurry because you don’t have long left. The wait is over, Tiger Woods is back. 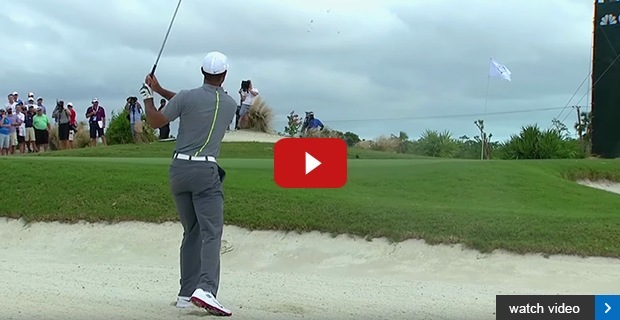 This perfect bunker shot was one of many highlights from his four days in the Bahamas - although there was plenty of rust, too.